Fresh off its sold-out season opener at Twin River Casino Hotel last weekend, CES Boxing puts some of its top fighters to the test this month on various shows across the region. Veteran lightweight “Hammerin'” Hank Lundy, middleweight prospect Kendrick Ball Jr., unbeaten light heavyweight Angel Camacho Jr., and hard-hitting junior middleweights Khiary Gray and Jimmy Williams all return to the ring in March, headlining a busy spring from the northeast’s No. 1 promotion. Lundy (29-7-1, 14 KOs) returns to his hometown of Philadelphia on Friday, March 15th at the Liacouras Center in all-Philly showdown against 25-year-old up-and-comerAvery Sparrow (9-1, 3 KOs), a crossroads fight for both side. A former NABF and NABO champion and world-title challenger, the 35-year-old Lundy fights in Philadelphia for the third time since 2017, having previously won back-to-back fights at the famed 2300 Arena before challenging unbeaten Russian Zaur Abdullaev for the WBC Silver Lightweight Title in September. Now Lundy faces the 5-foot-7 Sparrow, a fighter co-promoter Russell Peltz refers to as a Philadelphia throwback for his willingness to step the plate and face the best the sport has to offer. The combined record of Sparrow’s last five opponents is a staggering 58-8-3, including his second-round knockout win over 24-fight vet Jesus Serrano last March, a fight later ruled a no-contest when Sparrow tested positive for marijuana. The showdown against Serrano came off the heels of a huge upset win over the highly-touted Jose Lopez on ESPN in November of 2017, a fight Sparrow agreed to on just nine days’ notice, earning him a spot at No. 14 in the WBO world super featherweight rankings. The suspension has derailed Sparrow’s progress, but a win over Lundy puts him back in the conversion among the top fighters in his weight class, even as he agrees to come up in weight to face a dangerous adversary such as Lundy, who is also no stranger to unseating opponents as the supposed underdog. In back-to-back fights in 2013 and 2014, Lundy dominated 31-1 Ajose Olusegun and 14-1 prospect Angelo Santana, the latter on Showtime. Some of his toughest fights — his super lightweight battle with Viktor Postol, his WBO 140-pound world championship showdown against Terence Crawford, or his slugfest with Mauricio Herrera in 2015 — have been outside of his hometown, so stepping back into the ring in Philadelphia is a refreshing change of course for the road-weary Lundy. The all-Philly showdown between Lundy and Sparrow is part of a stacked fight card promoted by Matchroom Boxing, DiBella Entertainment and Peltz Boxing Promotions. Philadelphia super featherweight and reigning IBF world champion Tevin Farmer defends his title against unbeaten Jono Carroll and reigning IBF and WBA World Female Lightweight Champion Katie Taylor faces WBO title-holder Rose Volante in a battle of unbeatens. The event streams live on DAZN. Subscriptions are available for $9.99 per month and can be purchased by visiting https://watch.dazn.com. DAZN is available on all smart TVs, connected devices, tablets and mobile phones, and computer or game consoles. Also on the 15th, Ball Jr. (11-1-2, 8 KOs) returns to his hometown of Worcester to face 14-fight vet Danny Rosenberger in a six-round bout for the vacant New England Middleweight Title at The Palladium. The event is promoted by Shearns Boxing Promotions and also features the long-awaited return of Ball’s stablemate, Camacho Jr. (15-0, 5 KOs) of Providence, R.I., who ends a three and a half-year layoff with his first fight since 2015, a six-rounder on the undercard of a lineup including several standout New England fighters. Ball Jr. has won his last two fights, including a fourth-round knockout over veteran Zain Shah in November at Twin River Casino Hotel. Camacho Jr. hasn’t fought since he fellow Rhode Islander Rich Gingras for the UBF International Light Heavyweight Title, also at Twin River. Tickets for the event in Worcester, titled “Every Man For Himself,” are available at www.thepalladium.net. The following night, Worcester’s Gray (16-4, 12 KOs) returns for his toughest test to date when he faces Ireland’s Spike O’Sullivan (29-3, 20 KOs) in a 10-round showdown on Murphys Boxing’s annual St. Patrick’s Day event Saturday, March 16th at the House of Blues in Boston. The event is headlined by a 10-round junior middleweight battle between Williams (16-1-1, 5 KOs) and Quincy, Mass., southpaw Mark DeLuca (22-1, 13 KOs). Gray has won two of three overall, including his most recent Rhode Island appearance in December of 2017 when he upended Greg Jackson for the vacant interim New England Welterweight Title. 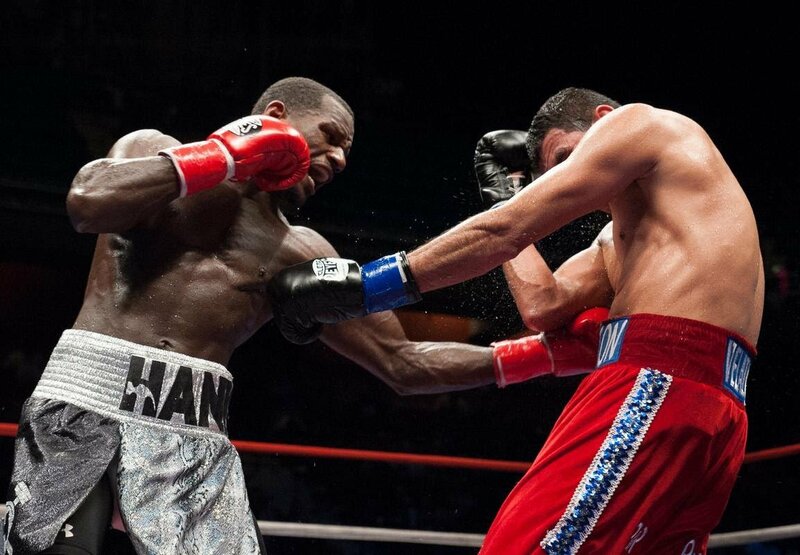 Like Ball Jr., Gray also showcased his talents in his hometown in August when he ran through Antonio Fernandes, scoring the victory by first-round knockout, in a rematch of their 2015 fight at Twin River. O’Sullivan’s resume speaks for itself; a native of Cork, the 34-year-old brawler has traveled from Ireland to Boston to the United Kingdom, earning a shot at the WBO International Middleweight Title against Billy Joe Saunders in 2013. O’Sullivan battled Chris Eubank Jr. two years later before capturing his first title in 2017 with a knockout win over Antoine Douglas in Quebec. O’Sullivan’s name surfaced as a potential replacement last year for Canelo Alvarez when the pound-for-pound king was forced to withdraw from his scheduled rematch with Gennady Golovkin, but O’Sullivan instead fought David Lemieux later that year in Las Vegas, suffering a devastating first-round knockout loss. O’Sullivan righted the ship in December with a win over journeyman Gabor Gorbics. The Williams-DeLuca fight is an intriguing all-New England showdown between two of the region’s most prolific fighters. Williams has won two in a row, out-workingChristian Aguirre and Enver Halili following his first and only loss as a pro in April of 2018. DeLuca enters fresh off a win over Walter Wright Jr. in October, recapturing his NABA and IBA titles after Wright Jr. beat him via controversial split decision in June. Tickets for the Murphys Boxing St. Patrick’s Day show are available at www.murphysboxing.com.